Considering Making a Legacy Gift to SAR? Did you know that you can include a gift to SAR in your trust or estate plans and leave future generations a proud legacy — support for the invaluable work of the School for Advanced Research? This is a very simple and meaningful way to help secure the future for creativity in Native American arts and innovative scholarship. Estate gifts provide a critical source of financial support for SAR. Each year, such gifts account for nearly 35% of our operating budget. 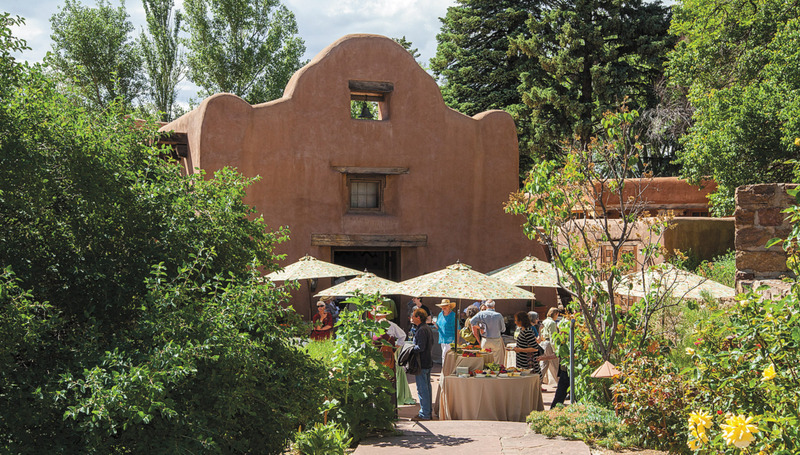 Previous gifts have created SAR’s campus, endowed a Native American artist fellowship, funded an annual prize for scholarly writing, augmented our Indian arts research collection, and provided general support to the School. There are many ways to make a gift to SAR that will have lasting impact. Click here and find out how. The promise of SAR and its support of exceptionally creative scholars and artists can be realized only through the combined efforts of understanding supporters like you. If you would like to receive further information about joining our El Delirio Legacy Circle or estate gift options, please call Laura Sullivan, director of development, at (505) 954-7238 or send an e-mail to sullivan@sarsf.org. Click here for information to provide to your financial advisor.